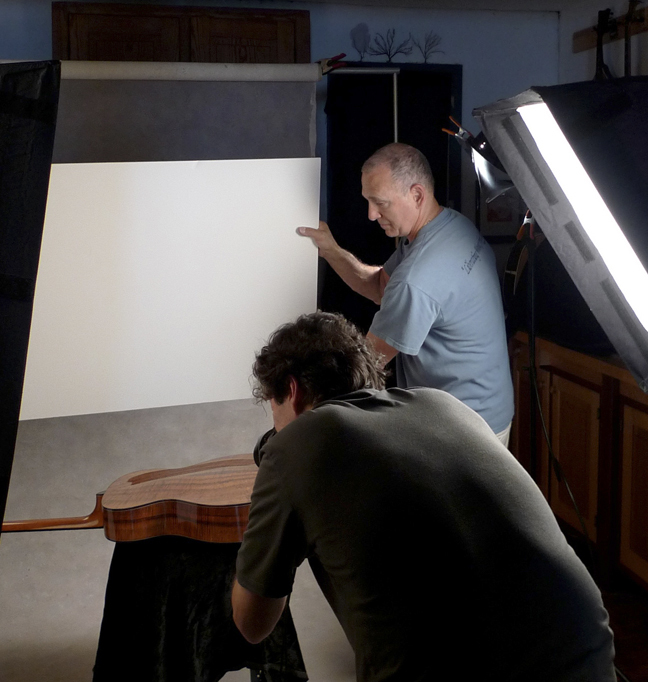 Earlier this week I had the pleasure to mix two of my passions, one being the crafting of hand-built acoustic guitars and the other lifelong passion, photography. Some of you may know that I am a professional photographer for over 35 years. www.jayrosenblatt.com. 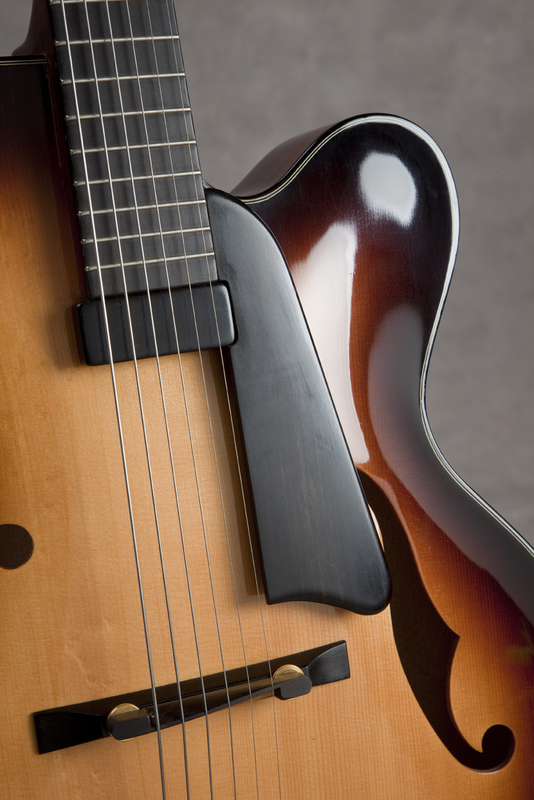 The two came together when Frank Finocchio, luthier, teacher, mentor and friend asked me to photograph his instruments. 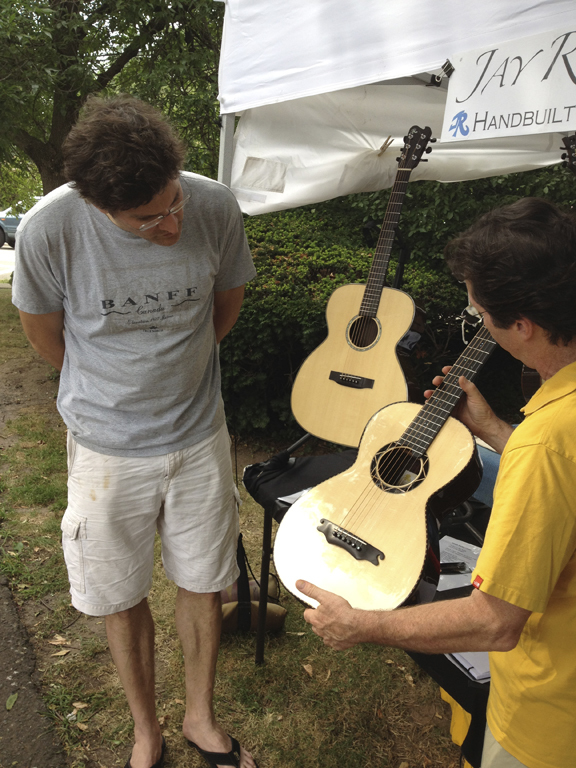 Frank builds beautiful guitars. His level of work and craftsmanship is outstanding. His knowledge of the instrument is far greater than those of mortal men. 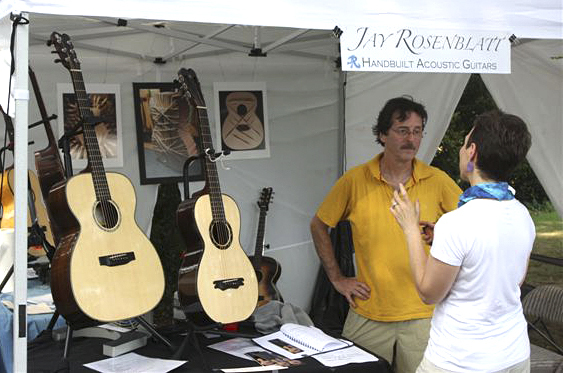 One of his trademarks is creating arched backs and soundboards through a steam process to create the arch without carving away precious wood and also allows the backs to work without braces in some of his designs. You can see the results in the photo below. I enjoyed this and all the knowledge he has imparted over the years. 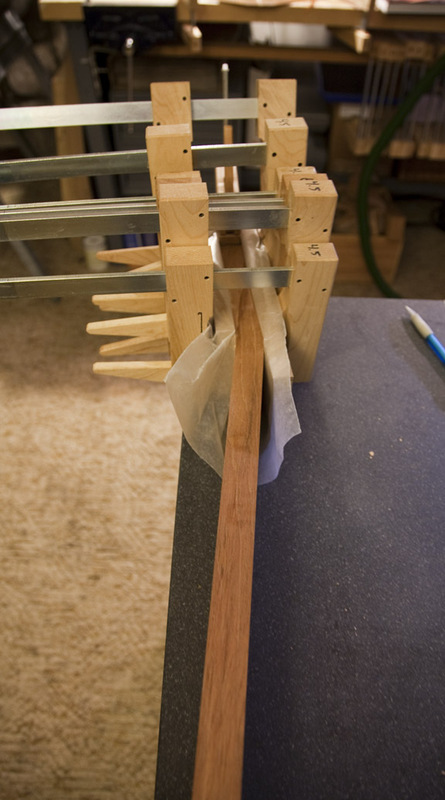 One of the things david taught in the class was proper body position, staying above the work and holding the saw in a proper vertical position. It really works. 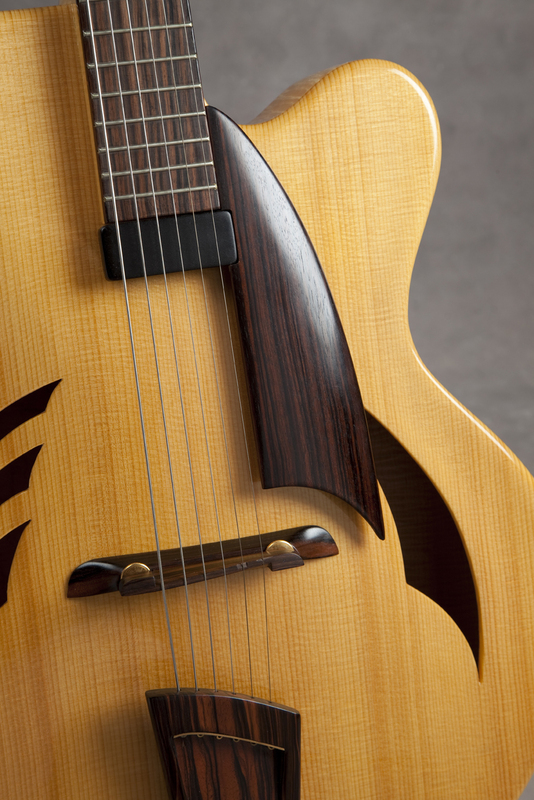 Dave is a master at inlay. I only broke one blade in this, thats good for me. 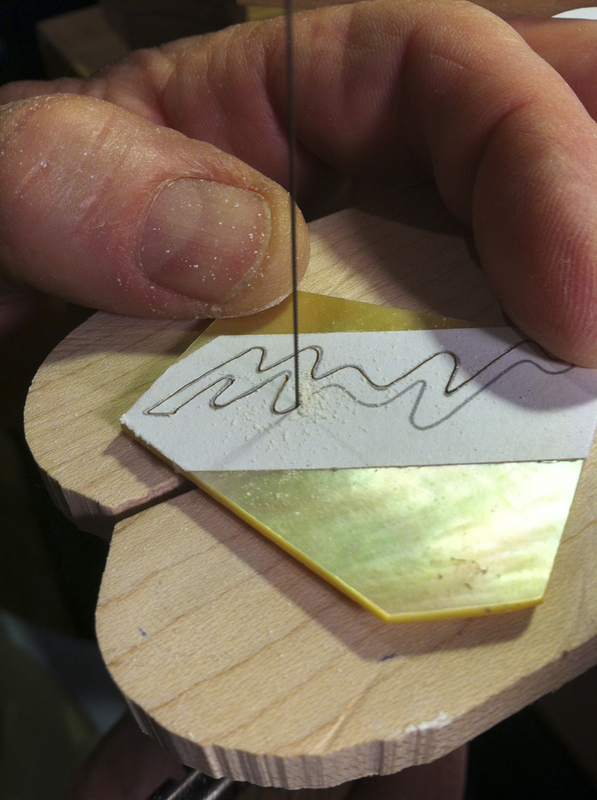 After I cut it out and filed the edges with some very fine swiss jewelers files it was beautiful. Thanks Dave. 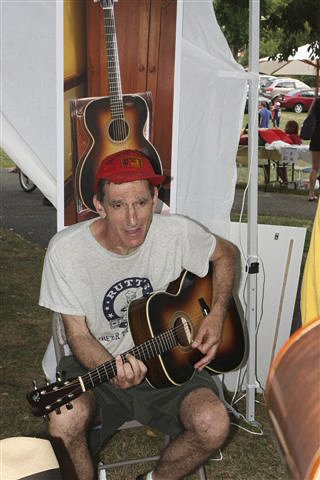 Earlier in the day I played at a farmers market in Rivervale, NJ with my friend John. Everybody seemed to enjoy the music. We got paid in Amish Woopie pies, vegetables and and Ices. Played for about three hours and had a very good time. 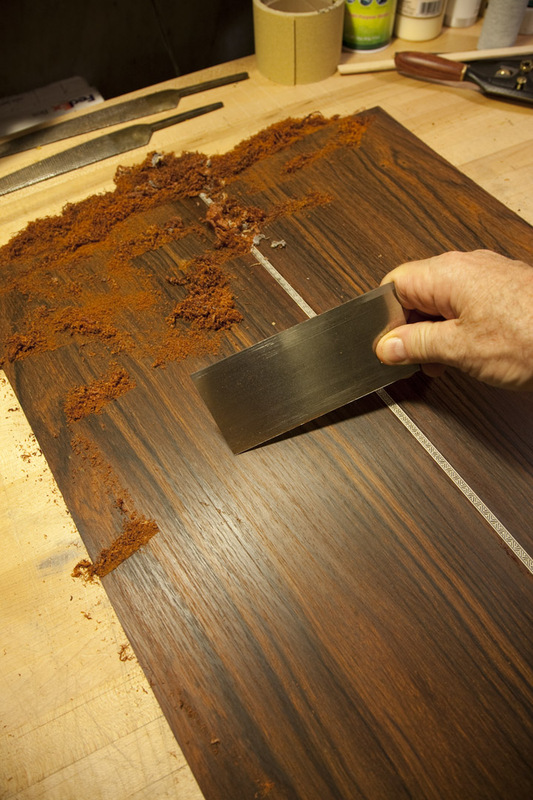 In the shop this week I worked on assembling a cocobolo back set with a herringbone center strip and began to scrape it in preparation for final dimensioning. That’s it for now. More soon. 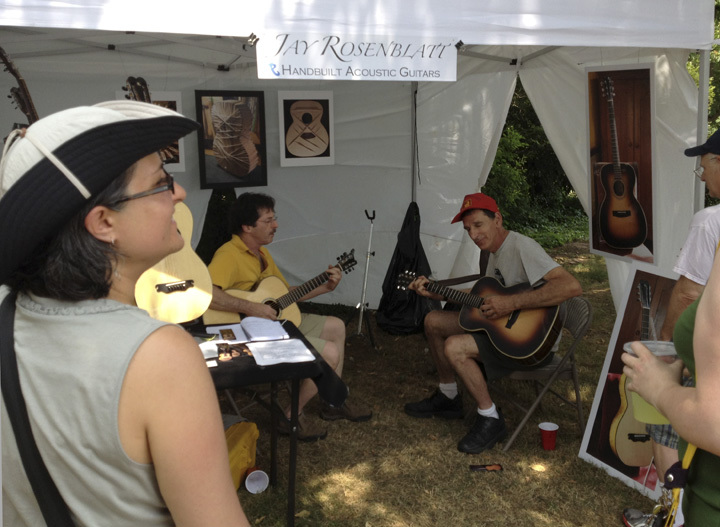 So it has been a week since Maplewoodstock where I exhibited my guitars. I have been reflecting on the day and thinking about how fast it went and how little time I actually had to speak with all the attendees that stopped by. Also thinking about how I can make it even better next year. 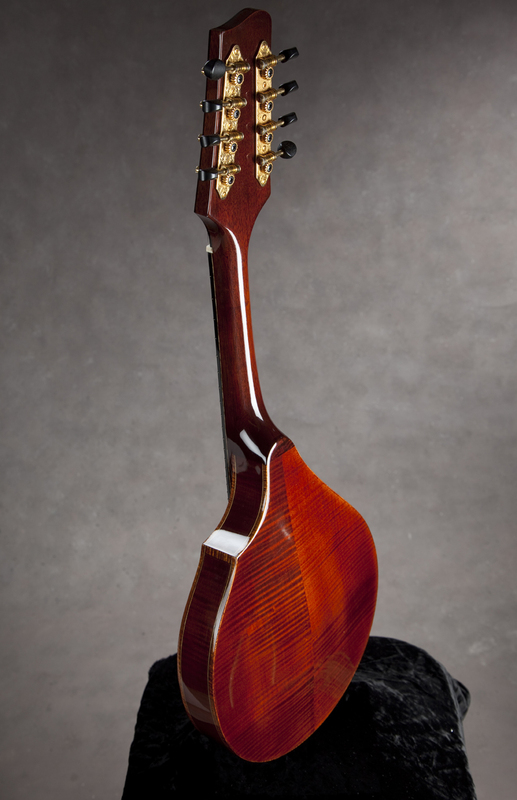 I am considering plans to hold an indoor event in the fall to display the instruments in an environment where you can hear them with some pickers and players there. 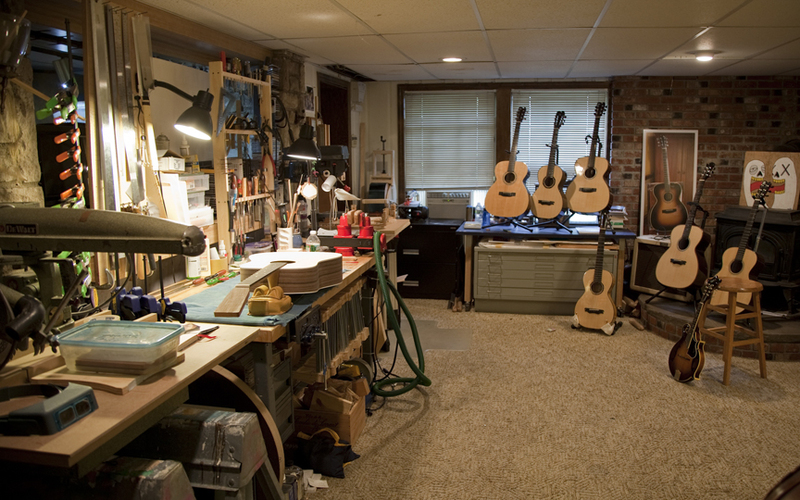 Perhaps to do a mixer of guitars, musicians, photography and art in a small show, and all this in the midst of working on some instrument building and clients architectural photography assignments. All too much for one brain and aging body. This week I made my workspace a bit more friendly by consolidating my tools into one room. Much better than having to go from room to room but as much as I try to neaten it up it’s alot for a small space, yet I need everything close at hand to do what I do. 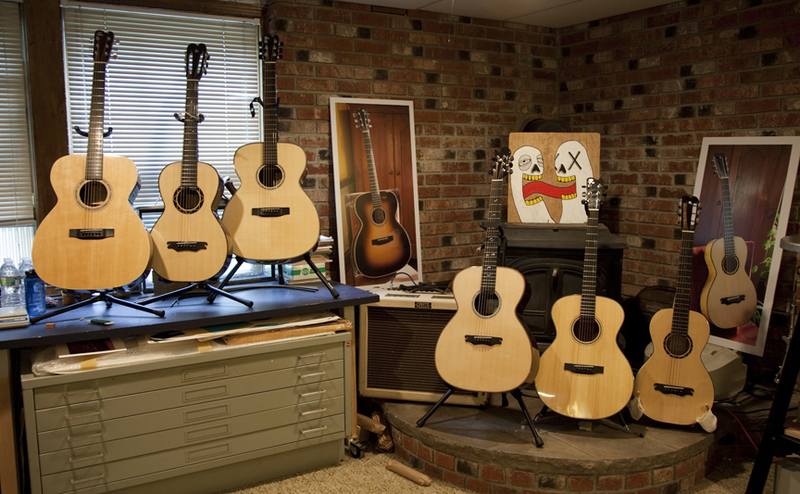 I assembled some of my JR Guitars together to play and listen to them just for inspiration for the next builds. Soon I will be adding a separate page that will highlight my favorite tools. Wow, what can I say. 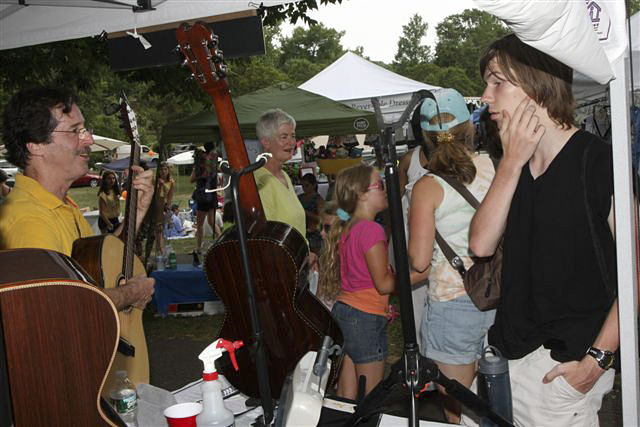 Yesterday was a great day exhibiting my instruments at Maplewoodstock. So many people stopped by to look, ask and compliment. 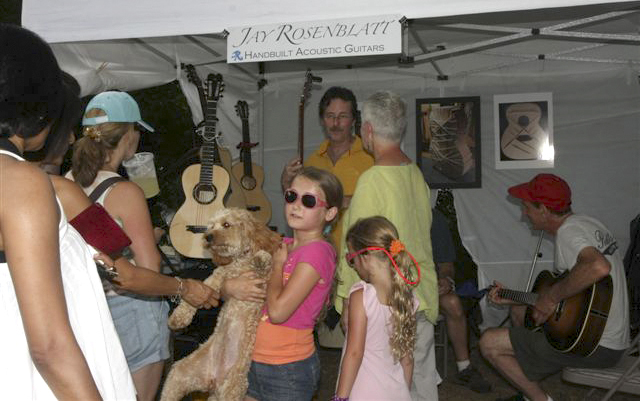 Pickers, players and lovers of guitars, families, kids and even cute puppies lined up in the heat to check them out. Thanks to all that stopped by. I had a great tent site thanks to the help from the coordinators of the event. We stayed from 12 till 5pm showing, meeting, talking and even picking out a few tunes between the performances on the big stage. 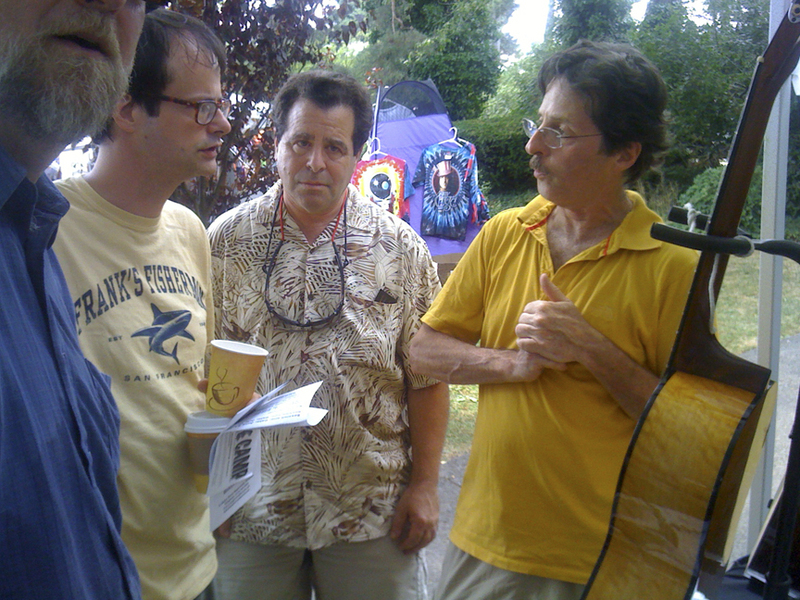 I was very pleased to meet lots of pickers and players. Everyone was so nice. 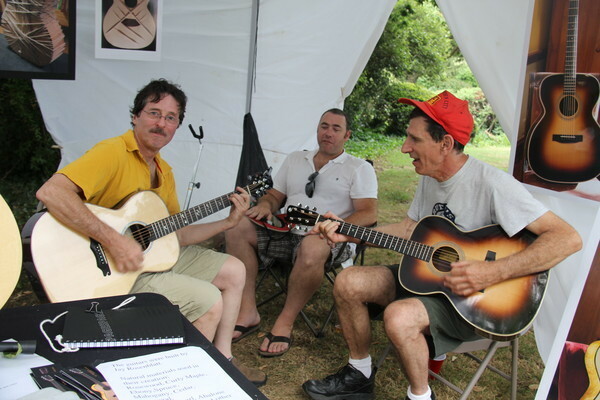 Several folks came into the tent to play the guitars, all loved them and particularly commented on the ease and playability of the guitars. 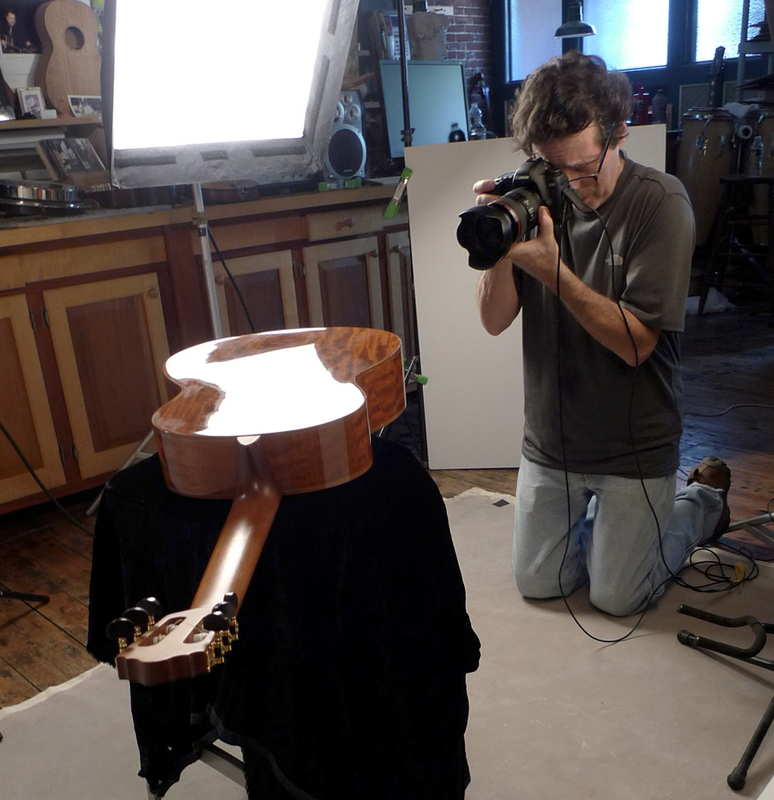 It was a great experience for me to do this and get these instrument out into the public eye. If for nothing else it was really great to connect with all these folks and guitar lovers. And now the Oscar speech; I want to thank everyone for making this a great day. Thanks to all my friend who came down to visit, to Mike Newman who came down early all the way from Easton, PA and helped me set up, hang my photos and get all the tables and guitar stands set up. 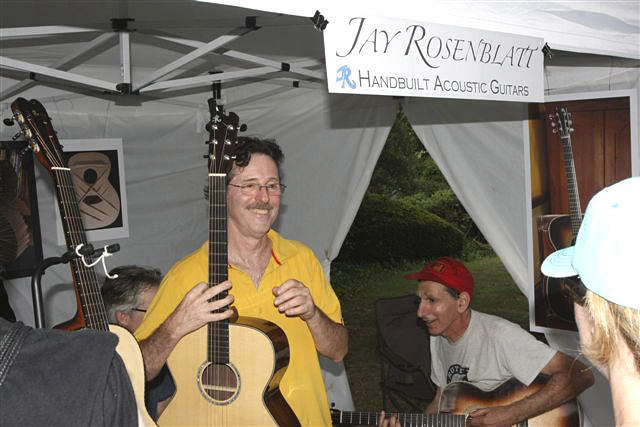 Thanks to John Grunberg came down with my instruments and stayed to pick and play tunes. Thanks to Ilona for loaning me her tent. 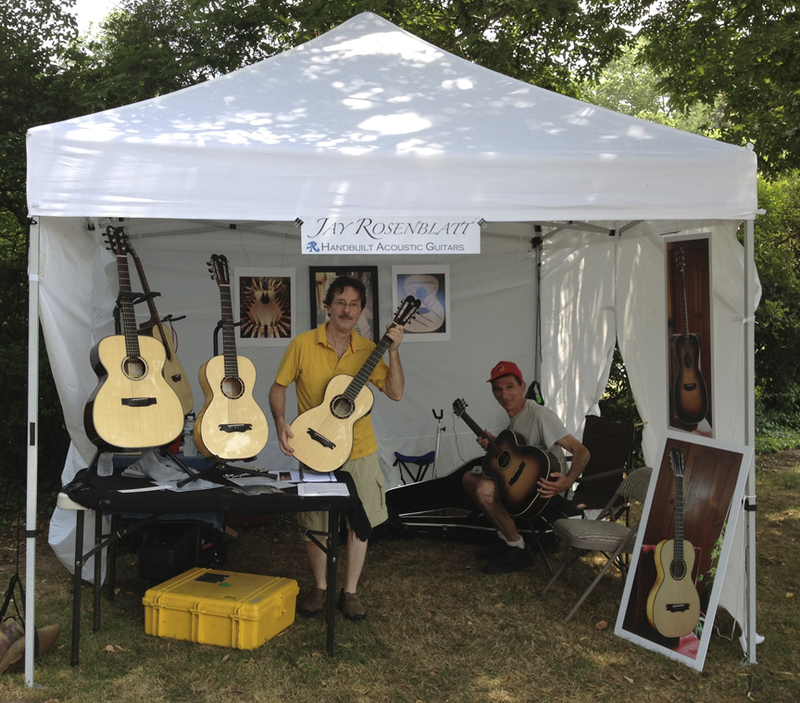 Thanks to Micha Hamilton photographer for making me some very nice enlargements for me to hang in the tent and for hanging out all afternoon himself in the heat and To Rick Hauser of The Framing Mill for the mounting of the prints. 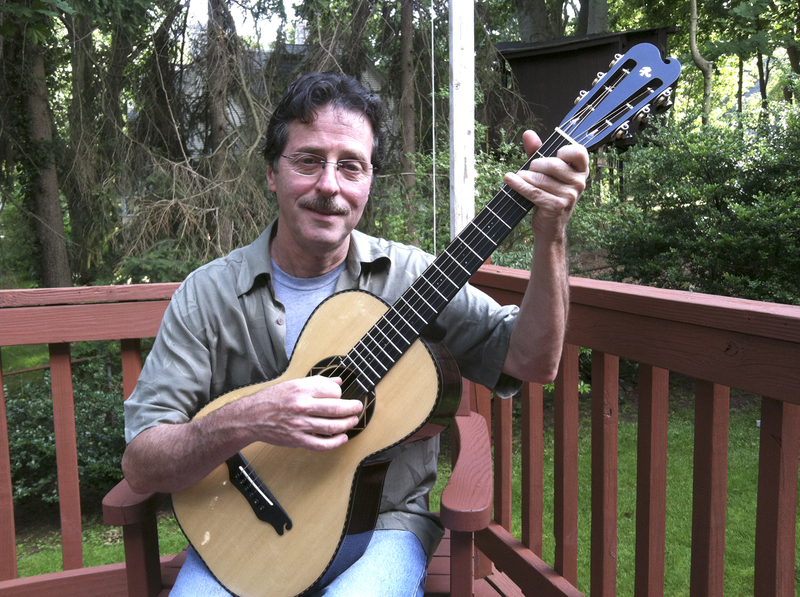 And a special thanks to Frank Finocchio, luthier, Easton, PA. who educated me well in creating fine instruments and how to set them up for ease of playability and his continued support. 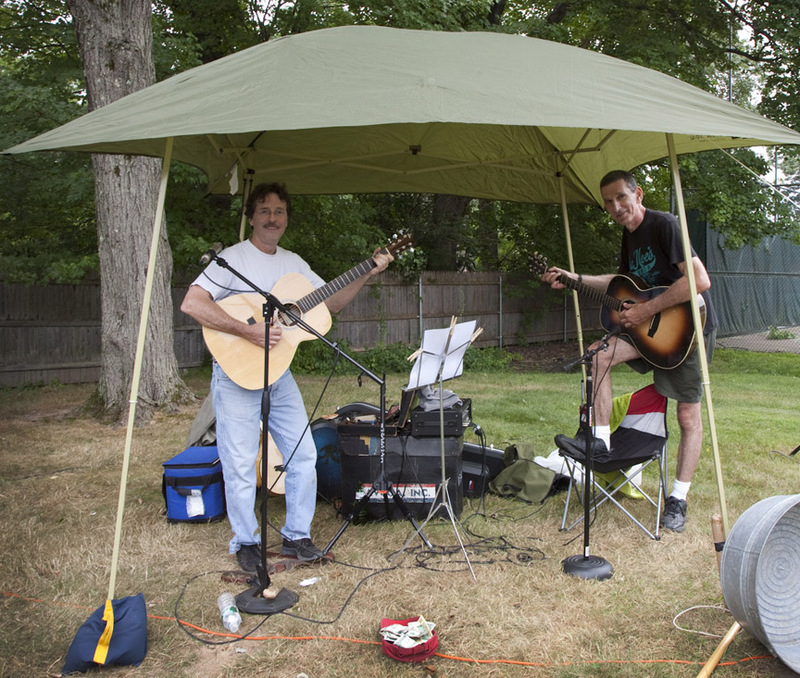 Thanks to Michael Reitman photographer and fine musician for taking some of the photos on this page and for picking out a tune, all at the same time. If I missed anyone it’s because my brain fried in the heat. I hope to do this again soon. 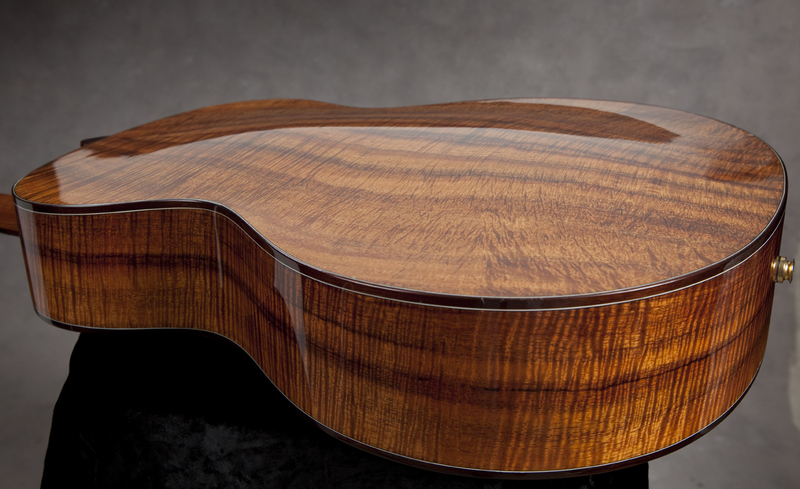 AAA Lutz spruce soundboard, East Indian rosewood back and sides, hand carved quarter-sawn cedar neck, 18% nickel silver fret-wire, ebony binding with coral purfling and maple side stripe, ebony fingerboard with white mother of pearl side markers and “domino dot” position markers, ebony bridge and headplate, Bone nut and saddle, ebony and maple inlaid rosette, white gold inlaid MOP logo, abalone inlaid bridge pins and end pin, nitrocellulose lacquer finish.